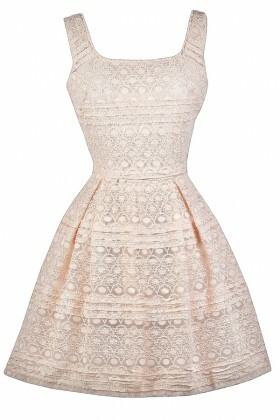 Brides- if you're looking for the perfect rehearsal dinner dress for your wedding, you'll find it here. The rehearsal dinner and bridal shower are the perfect pre-wedding events to get together with family and friends and celebrate the big day ahead. In recent years, a trend of wearing the color of the wedding dress to the rehearsal dinner or bridal shower has become very popular. It's a great opportunity to wear a dress in shades of white, ivory, beige, or off-white that is shorter and more casual than a formal wedding dress. 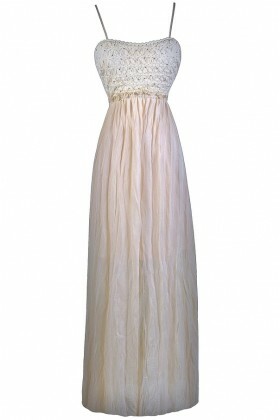 We have a great selection of lovely and affordable dresses that are perfect for your rehearsal dinner or bridal shower. 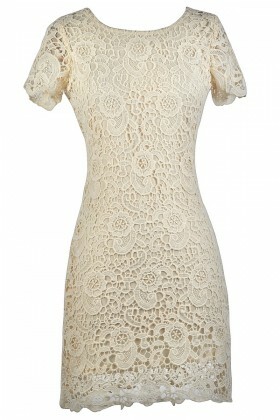 A short white lace cocktail dress is always a chic and sophisticated option that looks perfect on so many women. 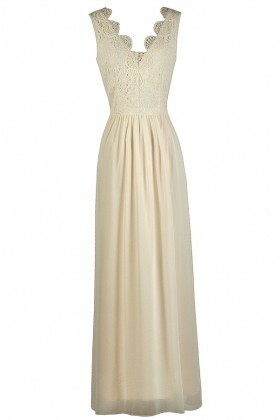 We have fitted lace dresses in white and ivory to darker shades of beige. Many women struggle with what shoes and accessories to wear with a short white dress. Neutral beige pumps or heels are the perfect choice because they will blend in and let your dress (and you!) stand out. 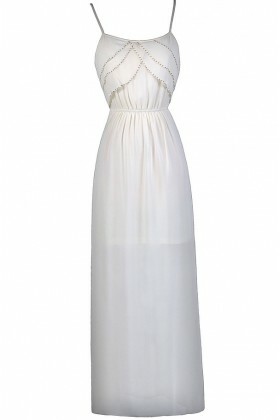 For a figure-flattering style, consider a white or ivory A-line dress. An A-line dress is one that flares out below the waist. This timeless cut will never go out of style because of its flirty,figure-flattering cut. One of our favorite options for a rehearsal dinner dress is to add a touch of sparkle with a beaded, sequin, or embellished dress. 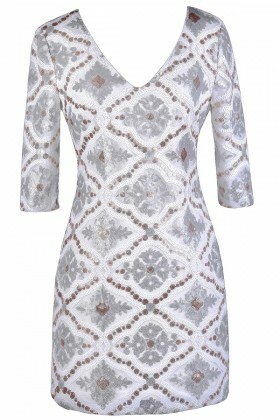 Beaded and sequin embellished rehearsal dinner dresses can be subtle with just a touch of beading or super glamorous with all over sequins or embellishments. 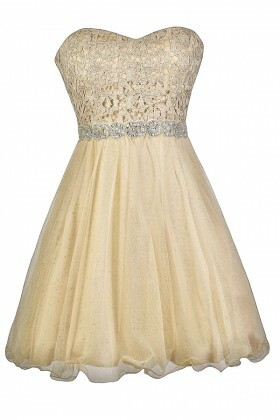 You can choose how much you want to sparkle at your rehearsal dinner. Shop these rehearsal dinner and bridal shower dresses and receive FREE shipping on orders over $75 within the US.